Growing-up, I was a swimmer. I swam. A lot. 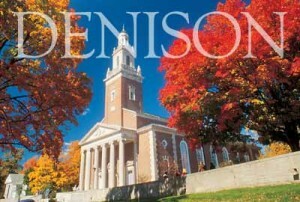 I swam for two years at Denison University before I detoxed from chlorine. In order to stay connected to the level of physical intensity that swimming gave me, I started running. And I ran. A lot. As my spouse would train for marathons, I would run along side him. I loved the strength. The sweat. And the longer I ran, the stronger I felt. Bob called me, "the Energizer Bunny." Then we started having kids. And I stopped. Running became a chore and a burden. So I hunkered down for the next 6 years with my over-and-over again pregnant body and did yoga. This past June I noticed people running and for the first time in 12 years I started to long to run. I started to long to move my body through the air like a runner. I longed to sweat and feel my heart pound. I wanted to release energy swirling around in my body in the way that running offers. All the while I kept on doing more yoga, thinking that if I just did one more class, I would fulfill the need to move with more intensity and energy. I was having a hard time with the idea running would mean less yoga. I've been doing 4 yoga classes a week for years. Would my practice take a hit if I started running? Would it look different? Feel different? Would I lose flexibility since running compounds muscles? I went to my GYN for my annual check-up and told her about these feelings. Also told her I had been feeling like a stuffed sausage in my body most of the summer. Her response, "I'm a few years older than you. You need more cardio in your life. If you feel the need to run, strike while the iron is hot. It doesn't get easier." I went out the next day and bought a pair of running shoes. Within 2 months, I'm running almost 5 miles several times a week. I've also been doing body weight exercises several times a week (thanks to a regimen set up by my yoga teacher, Jane Bahneman). I'm taken by how strong my body feels. And yes, my yoga practice has shifted. I feel a bit tighter, especially in my hip flexors and hamstrings. Prior to running, I was stuck on the idea that my yoga practice is about being flexible. The more flexible, the better. And, for me, not the healthiest of attitudes towards a practice that is intended to be lived off the mat, rather than obsessing over what happens on the mat. Expanding the awareness of my body's needs and acting upon those needs is yoga itself. Expanding my movement, my sweating, my strength. My running has let my yoga expand in how I feel in my body, how I notice my muscles in a more acute way, and how I can let go of the need for yoga to give me everything I need with my body. Once I started running, I realized how much pressure I was putting on my yoga practice. I wanted it to be everything---the place to sweat, be strong, flexible, and release my extroverted, Pitta energy. I realized I was expecting yoga to serve everything. I was also expecting my yoga teacher to serve up everything in a class. Ew. That sounds like an un-healthy relationship people can have with Church and clergy---Church and my pastor must be all things, at all times. I feel a bit tighter in my hips since I started running. And my arm balances and inversions feel stronger, more centered. I've relaxed a bit and stop hoping each class will be the class where all my needs are met. I'm doing less studio classes and more classes via yogadownload.com. I can cater my yoga for post-running and target specific muscles. This is a healthier relationship with the practice, my mind, heart, and Spirit. At the end of yoga, savasana and the movement of going into a fetal position as the transition to sitting-up symbolize a dying to the old ways and rising-up to new beginnings. Yoga calls forth the movement out of dead ways of living and into new expressions of a healing life. I'm thankful that my practice created this awareness that let me notice a longing to move my body in a new way. I'm thankful that yoga pushed me to embrace those feelings and not just start running, but to embody new beginnings of strength and freedom.